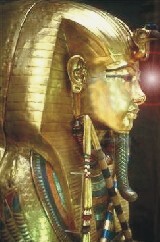 The Sphinx is a symbol of the eternal quest that can only be answered by the secret knowledge. The inner loneliness can only be cured by the inner experience of union with the Divine; no human association can fill the void. To be alone with the Divine is the highest of all privileged states for the sadhak, for it is that in which inwardly he comes nearest to the Divine and can make all existence a communion in the chamber of the heart as well as in the temple of the universe. Moreover that is the beginning and base of the real oneness with all, for it establishes that oneness in its true base, on the Divine, for it is in the Divine that he meets and unites with all and no longer in a precarious interchange of the mental and vital ego. So do not fear loneliness but put your trust in the Mother and go forward on the Path in her strength and Grace. The ideal of the yoga is that all should be centred in and around the Divine and the life of the sadhaks must be founded on that firm foundation. In this yoga the feeling of unity with others, love, universal joy and Ananda are an essential part of the liberation and perfection which are the aim of the sadhana.